hello! I was really inspired by a card in the Holiday Style class over at Online Card Classes for this one. 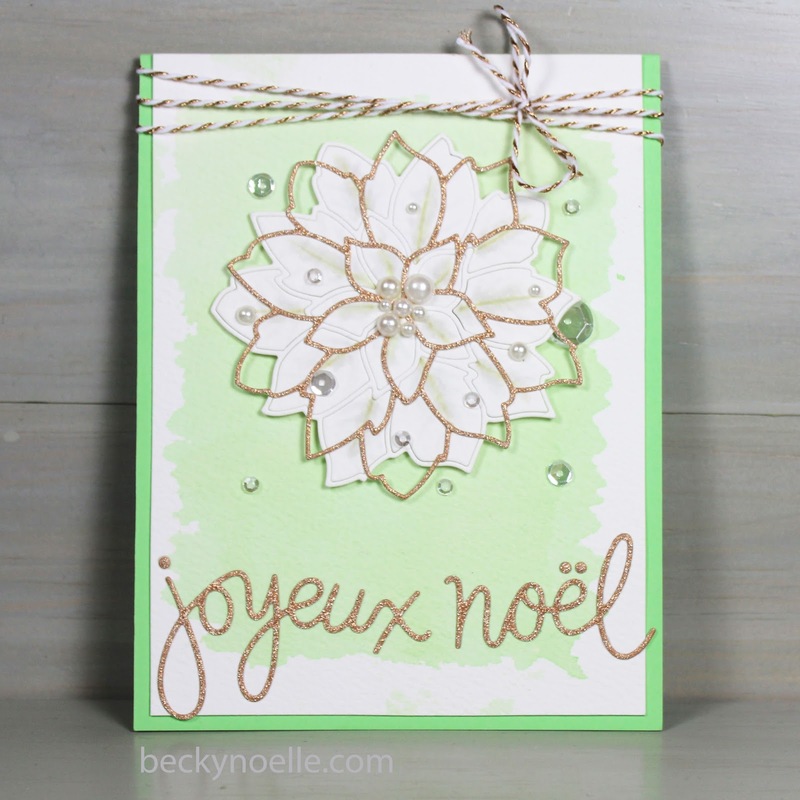 It was definitely the push I needed to use my new poinsettia die! Great card! Your new schedule sounds like it could be fun! Different techniques too? Have a wonderful day! Love the card and the pearls are a beautiful touch. Working out of your comfort zone and you pulled it off. Like the embossed look of the white poinsettia. This card is absolutely gorgeous! Love that beautiful green you chose. Perfection!